I'd like to promise that I'll be posting a blog entry every day, but I'm sure that I'd be lying off the bat and I'm thinking that that's not the best way to start off a new relationship. Now, since we're starting off honestly, I will do my best to post something minimum twice a week... even if it's just an iphone shot (I do love my Best Camera app!). I've been thinking about pulling out all that expired film from my freezer and putting my beautiful Pentax 645 lenses back onto their rightful body to give them a break from my 5DMKII. Unfortunately, my Pentax doesn't have a polaroid back and can't be fitted for one. Since I've been thinking more about old yellowing polaroids than I have been about film I'm going to begin my search for a polaroid camera that you can still buy film for. 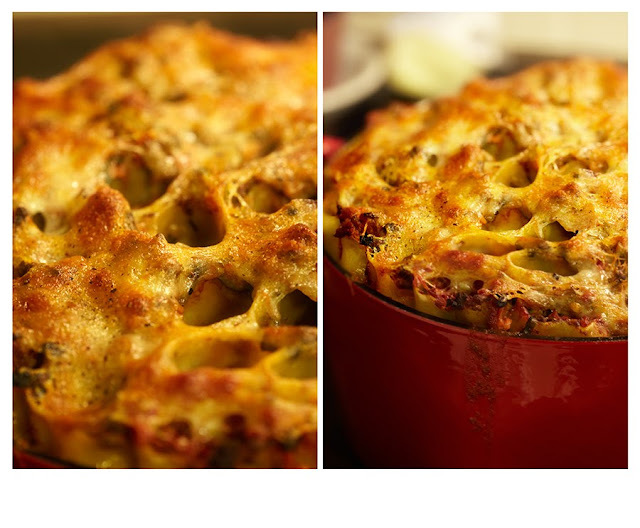 Here's a Baked Cannelloni that I have been fighting with for the last week. Subtle tweak after subtle tweak and I think I'm finally satisfied. I'm open to any comments/critique if you're up for giving it. Leave them here or email me at reena [at] reenanewman.com.